"The line arrays can get under the balcony pretty well. There were some concerns about how it would sound underneath there, but I think everybody is very pleased with the coverage the M.LINE arrays provided." How do we make this work? It is both easy and expensive with a clean sheet of paper and no walls to create a modern multi-purpose theater. But to take a historic downtown icon with no idea of a budget and a fundraising/building timeline that extended for more than seven years—spanning two architectural firms, two executive directors and two conductors—and still end up with a world-class facility? It certainly was an exercise in patience. I have been the Spokane Symphony Orchestra’s (SSO) sound technician for the last 22 years, recording performances for archive and public radio, helping produce children’s programs and mixing the Pops shows for it. 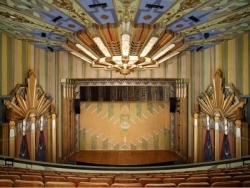 Since 1974, the Orchestra’s home had been the Spokane Opera House, a modern three-level continental-seated facility accommodating roughly 2700. As the head sound technician and technical director of that facility, my job was to make the orchestra sound big in that huge hall. And I was able to create the illusion of big sound, in part due to a Syn-Aud-Con-inspired Community Professional Loudspeakers center cluster of M4s, Leviathans and JBL Bi-Radials, along with discretely placed Crown PCC 160s. 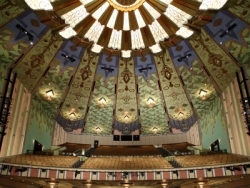 shell system designed by the original acousticians. 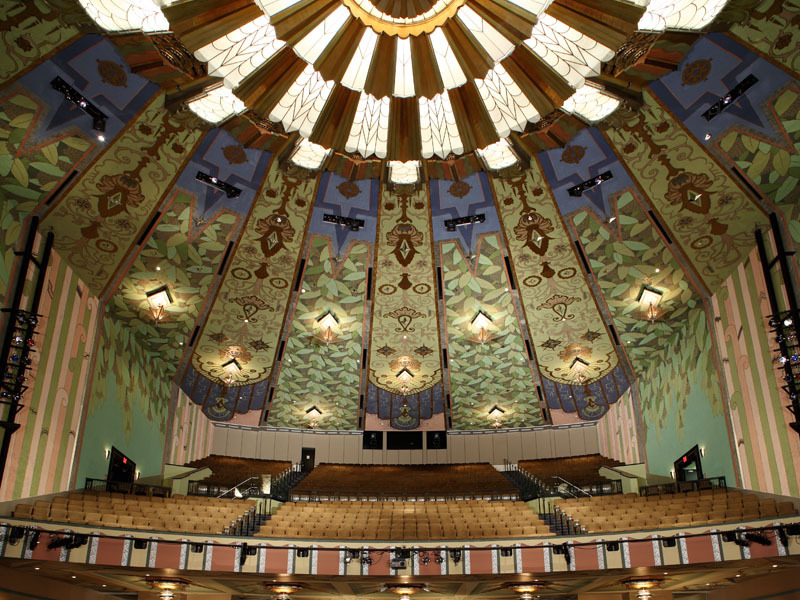 Due to budgets, as well as time constraints related to having the building ready in time for the 1974 World’s Fair in Spokane, the contractor actually built a “shell” for the Spokane Symphony. It looked just like a shell, but did not couple to the rest of the space as originally designed and intended, nor did it project low frequencies at all. The utilization of a second false ceiling was abandoned early on due to its complexity and labor intensiveness. 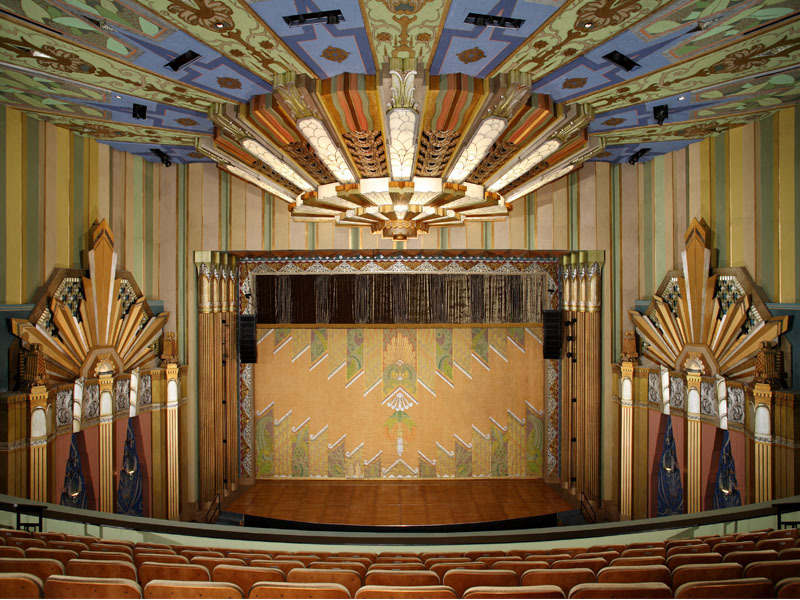 The second ceiling was really the key to the acoustical design of the building, because above the 27-foot proscenium was a 70-foot-wide, 10-foot-tall series of louvers to let the sound of the shell bounce off convex concrete and plaster dishes above the seating areas. Around 1994, the Wenger Corporation created what was, to that date, the tallest DIVA Shell it had ever built. Why is all this important? Because, as well as the new shell worked—and it did work well—the audience still wasn’t immersed in the sound of the Orchestra. As far as discreetly micing the Orchestra, this continued off and on for the next 10 years, mostly for soloists and the occasional Opera-In-Concert. in Spokane, quickly came into focus as a suitable alternative. 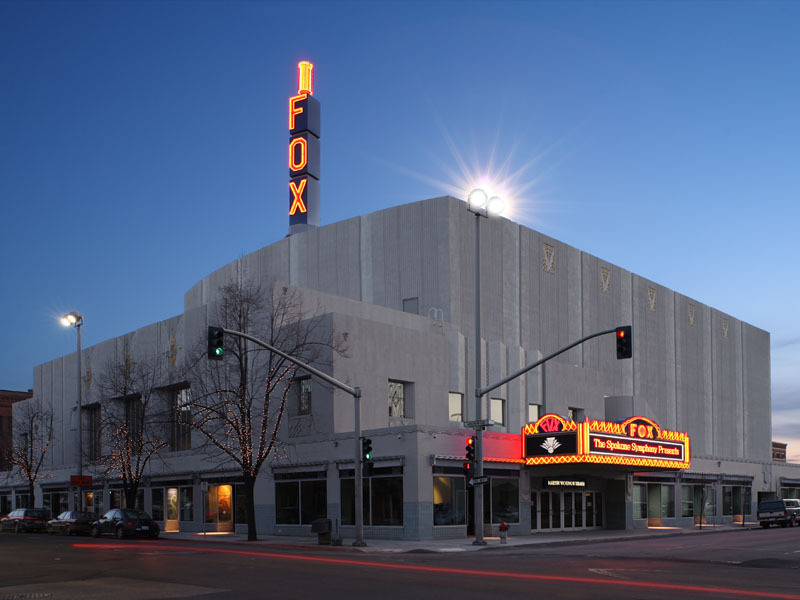 According to Rich Williams, sales engineer with EVCO Sound & Electronics, the systems integration firm that executed the vision for the eventual audio and video system (envisaged by the Symphony in collaboration with a design firm), the Fox, at the time, was a space waiting for a purpose. 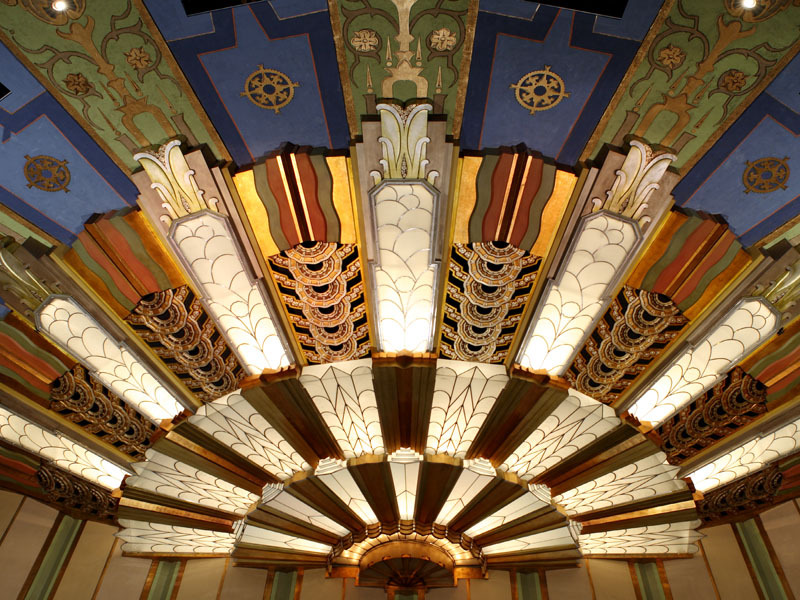 “It had been a theater back in the 1900s, popular around the ’30s. Over the years, it went through a lot of different uses. But, prior to this, it was vacant,” he said. When the Fox came up, I gladly volunteered to help with the original concept design. 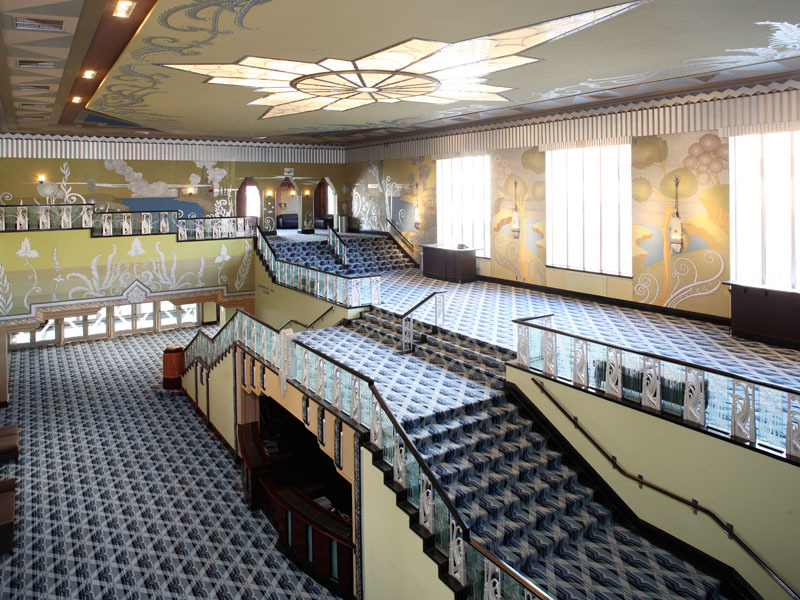 It was obvious this could be a great hall for presentations and corporate meetings during the day, with the Symphony on stage rehearsing at night. It promised the kind of low-impact clientele that probably wouldn’t damage the seating and would be out of the way for rehearsals. It is also a more intimate space, accommodating 1632 with the stage extension and 1727 without it. Work was continual from July to November 2007, with the first performance in the middle of the month. Williams revealed that, although the system was not 100% on the first night, the puzzle pieces all did come together. During the months, nay, years of design and planning, one concern was foremost: I had to weigh meeting the riders of world-class acts with the need for patrons not to be subjected to a sound system that was too loud because of its sheer size. Originally, I conceived a center cluster with two ground stack arrays with subs for the larger shows. 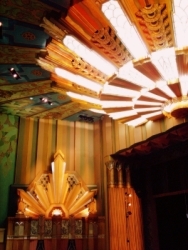 The large signature art-deco lighting fixture above the proscenium shot that idea down. We would never have gotten away with putting speakers where they would have needed to be! Ultimately, we settled on two compact line arrays: the McCauley M-LINE slung on chain motors on either side of the stage. According to Williams, “Of the two arrays, each has eight modules as part of it. There are five modules per side of the M.LINE M60s, two per side of the M.LINE M90s and one per side of the M.LINE MS1, which is a subwoofer.” Williams also noted the presence of fill speakers from Eastern Acoustic Works. There are six EAW SM200ih stage monitors along with four UB82e side fills in use. At our previous home, the Opera House, we regularly had to supply TV trucks and satellite trucks with audio feeds, but we did not have the infrastructure there. I was constantly turning around mic lines and feeding them backward through my patch bays. For our new home, I wanted, and was able to get, many sends and returns located near the loading dock for just that purpose. Knowing that a road show would never mix from inside a booth, I wanted, and received, an FOH audience position that included ties to the house system, tubes for snake runs, power and removable seats. I had either jury-rigged all these types of things or wished I’d had them in the other building. My other idea was to use the same feed from the stage to the FOH and booth position without going through a patch bay. On stage is a Whirlwind 56-input snake patch; I unscrew it and choose from which position the board will be used to mix. This setup also allows a future monitor split to be integrated easily into the system. We ended up with a total of eight mixes in the system, with 16 speaker dry lines throughout the building. old 56-input analog board at the Opera House allowed me to use half the board for the morning meetings and the other half unscathed for the orchestral concerts. I wanted just that same kind of thing for the Fox. Enter the digital board…. A Yamaha PM5D console was referenced on a lot of the riders I was getting but, at the time, it was substantially out of our budget range. So, we looked at the smaller-format M7CL. The recall aspect was critical: We had to be able to store a standard symphonic setup, and recall it week after week, no matter what happened between performances. In order to secure the PM5D, we cut some under-balcony speakers that, in fact, probably would have been perceived as being too loud anyway, along with a few other amenities. The deletion of the under-balconies was not particularly consequential, in Williams’ estimation. “The line arrays can get under the balcony pretty well. There were some concerns about how it would sound underneath there, but I think everybody is very pleased with the coverage,” he commented. outputs to feed monitors, assistive listening, lobbies, green rooms, backstage, recording decks…you name it. When we need the board in the house, we hand it out the booth window and re-patch the snake on stage. It’s very tidy and labor efficient. 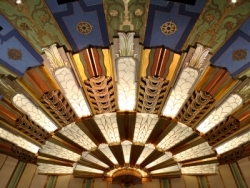 Thanks to JaffeHolden Acoustics, the acoustics and acoustic treatments in the building now give audiences the bath of sound that they have missed for more than 30 years. With the rake of the floor altered and the main floor back wall brought forward, issues that plagued the Symphony when it occupied the Fox prior to its move to the Opera House were solved in spectacular fashion. I can pick out the 3rd chair first violin if I want to; the sound is that crisp and clear. The building also boasts wireless internet, four remote-controlled cameras for production and Internet2 for two-way interaction and teaching—one of the SSO’s missions. 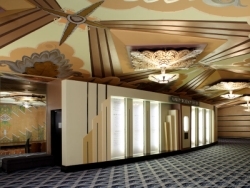 There are eight channels of in-house modulated video programming for lobby, backstage and production uses. A set of four Canon VC-C4 PTZ NTSC cameras, a widescreen Panasonic PT-DW7000U-K LCD projector, a Draper Paragon 14½'x26' motorized projection screen and a NewTek TriCaster Studio comprise the primary video complement. Sharp and Toshiba LCDs are distributed throughout the space, as well. The Spokane Symphony Orchestra, comfortable and happy in its new home, hit the ground running with a performance by Tony Bennett, several symphony concerts, Holiday Pops shows, youth orchestras, an opera, a comedienne, Easter Services and, more recently, Doc Severinsen with the Symphony. And the systems all worked perfectly. JaffeHolden accommodated many changes as the design evolved over the years and EVCO was very responsive and did a great job. Brian Ritter, my long-time collaborator and the Fox’s technical director, rode shotgun as the building was being completed, to ensure that we had all the parts and pieces in place. We have made this treasured building a technically savvy and flexible facility that sounds great and works wonderfully.